Cherry tomatoes in tomato juice. 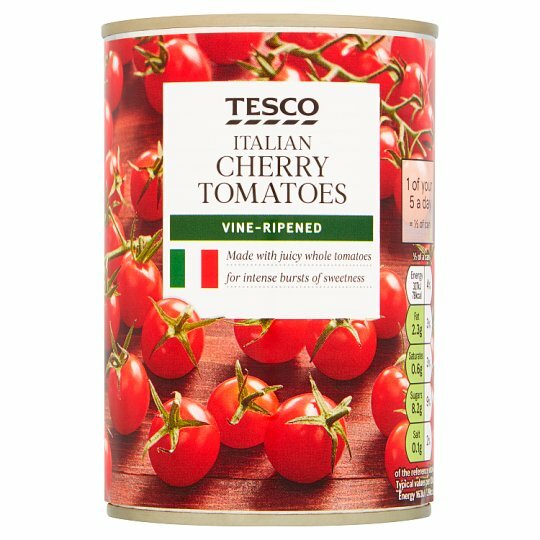 VINE RIPENED Made with juicy whole tomatoes for intense bursts of sweetness. Cherry Tomato (60%), Concentrated Tomato Juice, Acidity Regulator (Citric Acid).